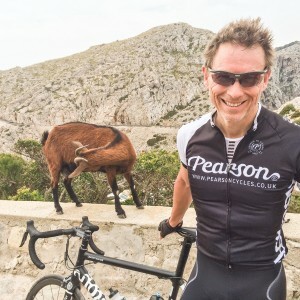 "In March I will be riding my bike for 950 miles in 6 days from London to Cannes with Club Peloton along with approximately 200 other cyclists to attend MIPIM which is the property world’s largest annual event. This will be quite a challenge but luckily we don’t have to cycle back up to London again! The main reason for the ride is to raise money for CORAM which is the UK’s oldest and first children’s charity and has been providing wonderful support vulnerable children for over 275 years. Any size of donation would be very gratefully received." Jonathan has smashed the target of £3,000! Jonathon- you and the team are an inspiration- well done and good luck. Looks like you're nearly there! Sorry that I only donated £10 last time. Here's £10 more! Don't get killed! I'm sure you'll do very well, good luck!!! Can we follow your progress on internet? Very impressive Jono, great cause! Very best of luck. Goof Luck Jonathan, see you there. This is a bit crazy non? Best of luck and come back in one piece! Sure it will be easy on that new Titanium bike of yours...good luck from Mark and Nikki! Good luck Jonathan, make sure your handle bars are property tightened! In a funny sort way way I am envious but suspect that after about 50 miles that would have disappeared! Good luck with the whole thing but especially the last 900 miles! Good luck and don't try to race anyone on the way. Good luck Jonathan, hope it goes well! Sounds like an amazing adventure - and a very sore bottom! Best of luck Jon... you might be inspired by Haruki Murakam's book What I Talk About When I Talk About Running describing his experience of running ultra marathons! Last ride 100 miles, this one 950 miles, what's next! Good luck. Mad but brave - good luck!! Jonathan - Great effort for a great cause - here's hoping your body holds out! Ian. You are bonkers but best of luck! Stab me vitals! This is something that's beyond me so I doff my cap to you, Mr Clark! Good Luck and don't forget your saddle rash ointment! Good luck Jonathan. Watch out for that saddle rash! excellent cause but is it wise at your age? Bonne chance! Good luck, Jonathan. Wishing you all the best, the team at ButhRobinson! 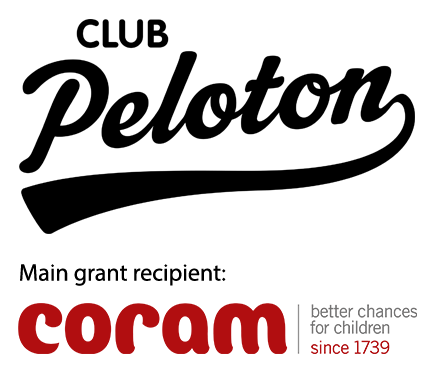 Club Peloton is a grant making charity and business network that raises money to improve the lives of disadvantaged young people through cycling initiatives. Our main grant recipient - receiving two thirds of all funds raised - is Coram, the UK’s oldest and first children’s charity that has been supporting vulnerable children for over 275 years. Their flagship service, Coram Adoption, is the most successful voluntary adoption agency in the UK., finding loving and secure homes for some of the most vulnerable and hard-to-place children in the country. They now help more than 1.25 million children and young people every year, and this would not be possible without the generosity of our riders.